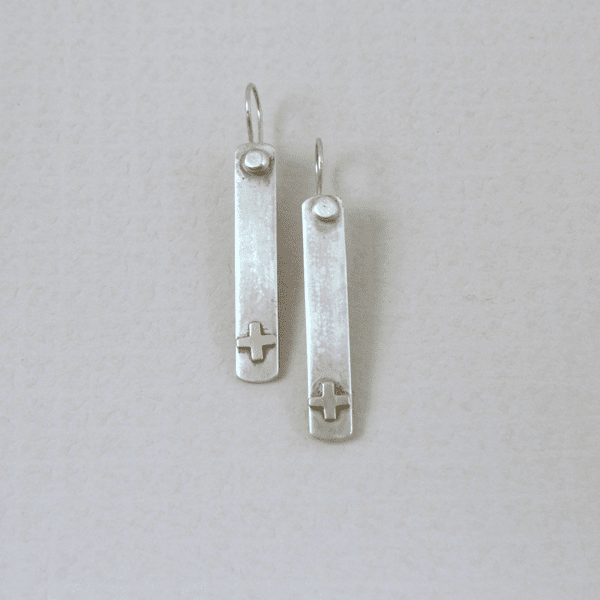 Santa Fe inspires beautiful jewelry joining a cross within the designs. Bringing together the popular look of two-tone metal, I've incorporated a tiny cross of brass into the design. 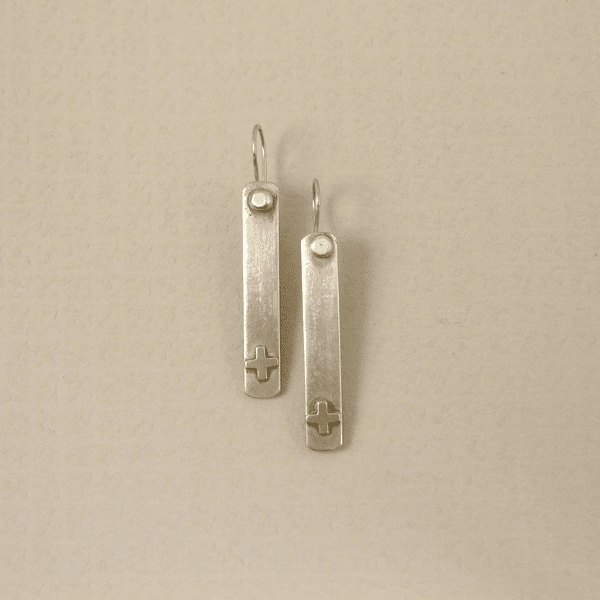 Simple in design yet timeless makes these silver dangle earrings perfect for any season.